If you ask any hiker what the most important piece of gear they have is, they’ll almost certainly tell you that it’s their boots. When you’re out on a hike, well-fitting boots can make the difference between a joyous adventure and a painful, blister-filled excursion. Boots keep your feet dry, protected, and supported every step of the way, but how do you choose the right pair? Today’s markets are overflowing with different boot designs, each of which professes to change the way you hike. 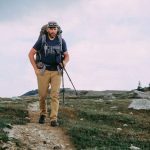 To help you decide what to choose, we’ve compiled this comprehensive buying guide and review of five great hiking boots. After the summary table below, we discuss the key things to look out for when choosing your boots, followed by detailed reviews of the best products on the market. 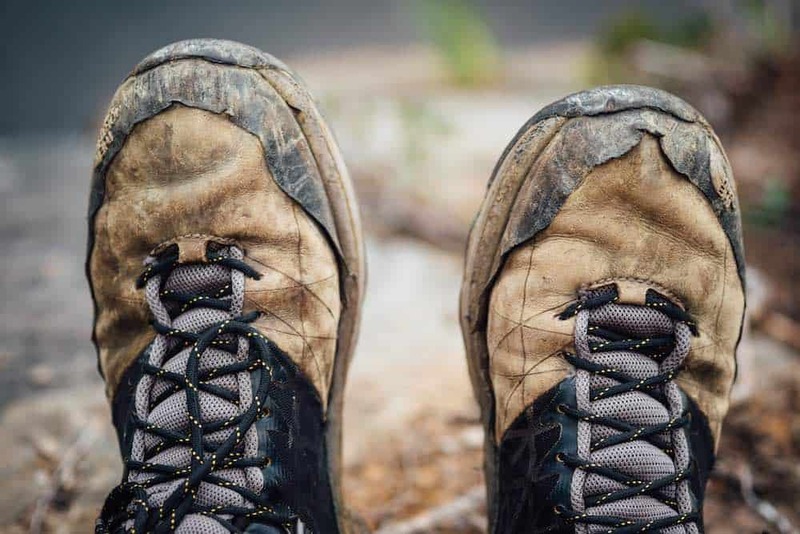 Before you choose next pair of hiking boots, it’s important to know what to look for. There are many different designs on the market, so it’s best to create a list of the types of features you’d prefer in your boot and the things you certainly don't want. This will help narrow down your choices for an easier decision-making process. 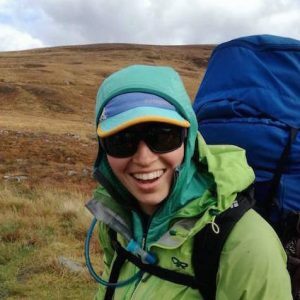 Hands down, the number one most important thing to look for in a pair of hiking boots is a great fit. 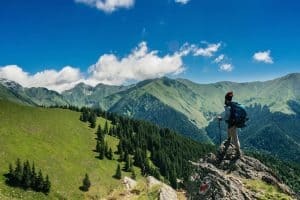 If you choose a pair of boots based on their features or style over their fit, you could end up with some rather uncomfortable blisters or toe-jamming while you hike. We can assure you that this problem does not get better after 20km of walking. Trust us on this. Be sure to try on your boots before you take them on a 50km epic. Try them on with your own hiking socks and your own shoe insoles (if applicable). Walk up and down stairs and find an incline to test them on. Note any excessive heel lift or potential problem spots and decide if the boots are for you. While most people think the main difference between men’s and women’s boots is the shoe size, companies actually design their boots with different ‘lasts’, or shapes. Men’s boots are often wider along the length of the shoe, but particularly in the heel and midfoot. Meanwhile, women’s boots are often narrower in the heel and wider in the forefoot. Plus, men tend to have longer toes, and shorter arches, so men’s and women’s boots often have different flex points during a stride. Although there is no rule that men must buy men’s shoes, nor vice versa, many women find that they better fit a women’s last. But, if you have larger feet, a wider foot, or you just find men’s shoes more comfortable, it might be best for you to investigate those boot options, too. 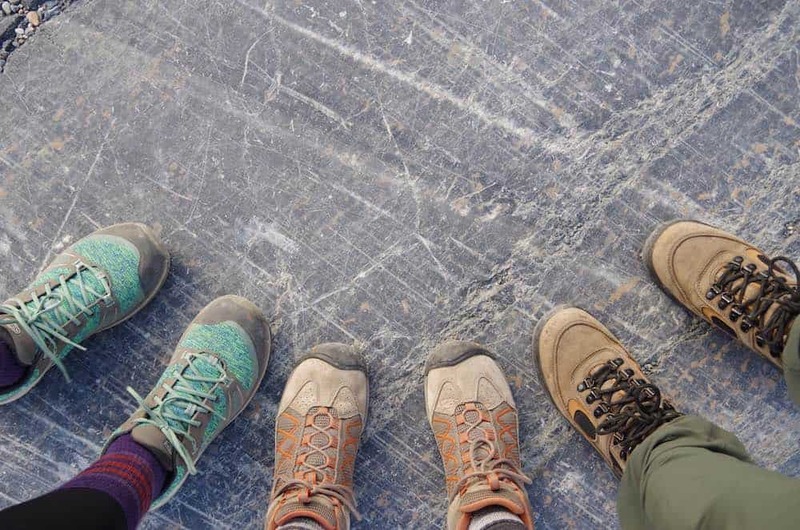 Not all boots are created equal and while one boot might be best for a short day hike, others are built to withstand the trials of a 30-day expedition. 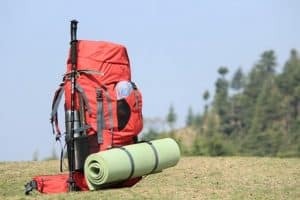 Choosing a boot that best meets your intended use will help ensure that you have enough support to carry a heavy rucksack or that you're not wearing a much-too-heavy boot for a half-day jaunt. Some boots rise high above the ankle, while others just barely reach past the top of your foot. 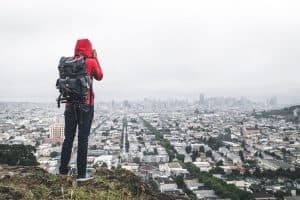 High top boots are often preferred by backpackers who want the extra ankle support for carrying heavy loads, but people with ankle stability issues often enjoy them, too. Mid-top boots are generally lighter and more flexible than their high-top cousins but come with a slight decrease in stability and support. No one enjoys having water in their boots, so most boots come with a waterproof liner. Most companies use Gore-Tex or eVent, but some use a proprietary waterproofing system. They're nearly all equal in their waterproof qualities, but Gore-Tex and eVent tend to breathe better. Waterproofness is always a trade-off with breathability, so this is important to keep in mind. Most boots are either a mixture of full-grain or nubuck leather and some assortment of textiles and mesh. The leathers are durable and abrasion resistant but don't breathe nearly as well. Meanwhile, the mesh and textiles are prone to tears, but breathe quite well. Leather also tends to be heavier. 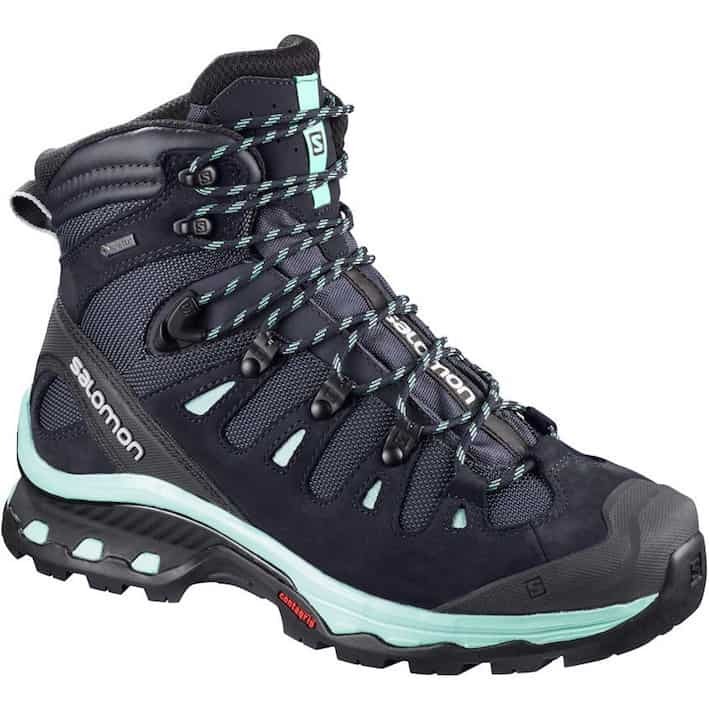 ​The Salomon Quest 4D 3 is a new take on a classic hiking boot design. Constructed with a nice mix of nubuck leather and suede, these boots are comfortable right out of the box and take little break-in time. Salomon’s 4D Advanced Chassis system keeps the boot feeling comfortable on harsh terrain by supporting your foot where it needs it most. Even so, this boot doesn’t sacrifice comfort for stability as its great forefoot flexion allows for a more natural stride. The gusseted tongue, high top design, and Gore-Tex liner keep the Quest dry even through puddle jumps and small river crossings. We really appreciate the Quest’s durability, as the protective rubber heel cup and toe cap help the boot hold up on rough trails. If durability, support, and lightweight are your utmost priorities, the Salomon Quest might be the boot for you. We recommend this boot for hikers who go on extended backcountry trips in wet and rough terrain with heavy packs. "Salomon makes an amazing lineup of lightweight, yet amazingly durable boots and the Quest definitely fits into this category. I personally really appreciate that the Quest's eyelets are nearly all metal instead of fabric. Metal is better than fabric for eyelets as lots of scrambling through rocky terrain will abrade and rip even the strongest of nylon and cause your laces to pop out!" 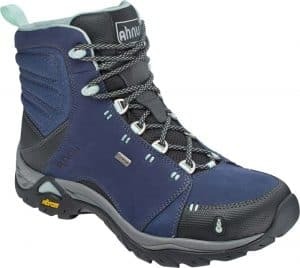 Ahnu is known for making innovative and stylish hiking boots, and the Montara is certainly no exception. A comfortable and durable all-around hiking boot, the Montara is great for day hikes and lightweight backpackers. The Montara boasts a full-grain leather and lightweight mid-cut design which feels like a shoe but has the support of a much heavier boot. The Montara is built with a premium eVent waterproof liner and Aegis anti-microbial technology. 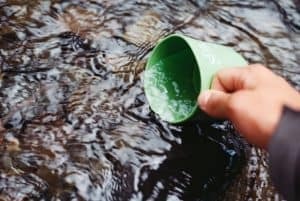 These two features work together to keep water out of your boot and keep your feet happy and comfortable on the inside. The Vibram XS Trek rubber outsole is one of the best on the market and offers great traction in muddy conditions. This boot’s small toe box is good for people with narrow feet who might prefer a tighter fit for less in-boot wiggle. If that wasn’t enough, the Montara is certainly the most stylish boot in this review. ​The Scarpa Moraine is our only true low-cut hiking boot in this review. While not truly a hiking shoe, nor a full-fledged boot, the Moraine is a low-cut boot that is light and sensitive to your movements. The full-grain nubuck leather construction feels like suede but has the toughness of leather, so it’s quite durable for rocky walks. The Moraine’s Vibram Dynatech 3 rubber outsole is known for providing great traction and being incredibly durable. The gusseted tongue is a nice addition to this low-cut boot as it helps keep out rocks and dirt as you hike. A protective toe rand rounds out the Moraine’s impressive list of features and is great for long-term boot durability. If you’re a hiker who values versatility in their boots, the Moraine might be the hiking boot for you. We’d recommend the Scarpa Moraine for hikers who want a lightweight boot with plenty of ankle support. "In some circles, the Scarpa Moraine might be considered an ‘approach’ shoe, which means it’s also great for rock climbers looking for a light boot to get them to the crag before they switch into a pair of dedicated climbing shoes. 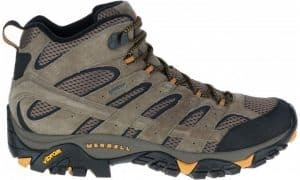 However, it’s sort of a shoe/boot cross-over and is a great option for someone who wants the support of a boot but the feel of a shoe while hiking." ​Keen hiking boots are great, affordable options for people with wide feet as they come with a naturally wide toe box and last. The Targhee EXP is yet another fantastic boot in the Keen Targhee lineup, which is known for its comfort and durability. The Targhee EXP is made with a polyurethane coated leather mud-shield and performance mesh upper, which combines toughness and durability into one great package. The KEEN.Dry waterproof liner helps keep feet dry in wet conditions while the ESS nylon shank provides good underfoot stability. 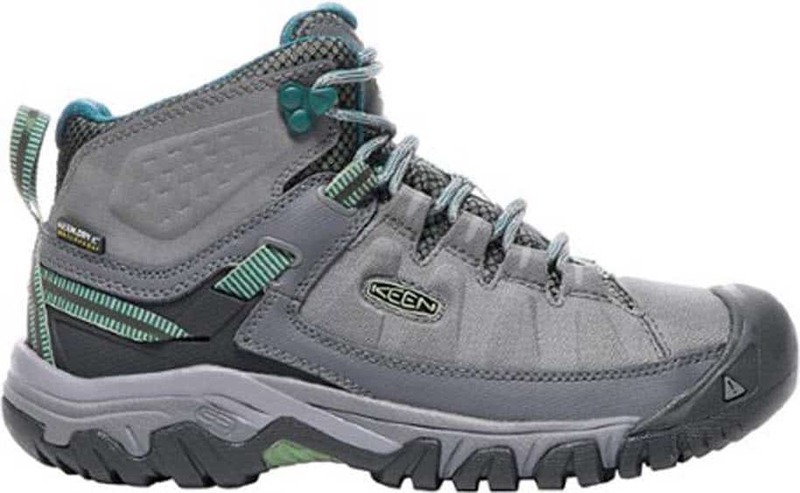 Plus, Keen’s special footbed provides arch support and cradles the contours of the foot. 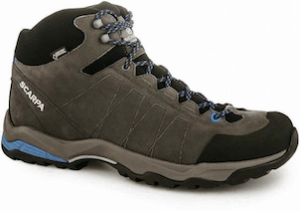 The Targhee EXP is a great lightweight hiking boot for people with wider feet. If you enjoy day hikes and moderate backpacking trips, the Targhee EXP might be the boot for you. ​The Merrell Moab 2 is the next generation of the incredibly successful Moab boot. 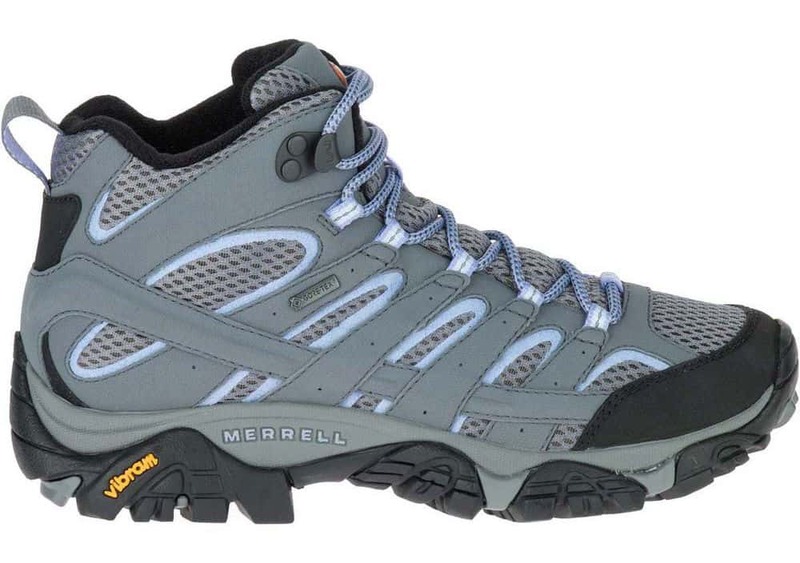 Instead of reinventing the wheel, Merrell focuses on improving their already simple and classically designed boot. Made with a Gore-Tex waterproof liner and a closed-cell foam tongue that keeps out debris and moisture, the Moab 2 is designed to keep your feet dry. The breathable mesh lining also helps reduce sweat build up to improve in-boot comfort for your feet. A protective rubber toe cap increases the boot’s durability in rocky terrain in the high-impact area of the forefoot. Plus, the Moab 2 has a moulded nylon arch shank underfoot and an air cushion in the heel, both of which provide support and stability on the up and down hills. Hikers who enjoy simple designs with minimal frills might appreciate the beauty of the Merrell Moab 2. ​​​At the end of the day, you can only wear one pair of boots at a time, so you’ve got to choose the set that’s best for you. In this review, the Salomon Quest 4D 3 takes our top spot for its incredible durability and impressive support system. 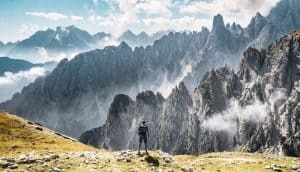 Although the Quests could be considered be a bit much for a day hike, they're so light, most hikers will forget that they're wearing them. The Salomon Quests are made with some of the best materials on the market and with an impeccable attention to detail, so they're a great hiking boot for the harshest of trails. Ultimately, the most important thing is finding a pair of boots that meet your needs. From lightweight hikers to durable backpacking boots, there’s a pair out there for you. Happy trails!